Fabulous paper yarn in ribbon in 43 Caramel - you can knit this up any way you want - as a trim, with another fiber - its wonderful for bags and pouches, and pom poms too! 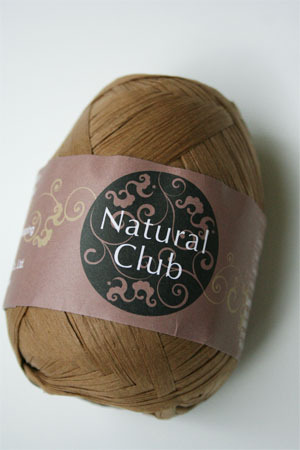 Golden caramel yarn lends it's delicious tint to any fabulous knitting project. Take a leap, add it to cashmere, or mink - it will add dimension and texture - even on its own, beaded or knotted, its a great yarn!